We have reached a point in Scottish football where whoelsale change is required within the hierarchy of the game. A final judgement has been made on the Big Tax Case by the highest authority in the land and already it appears that the SFA and SPFL are unwilling to take action on the tainted titles of Rangers 1872. 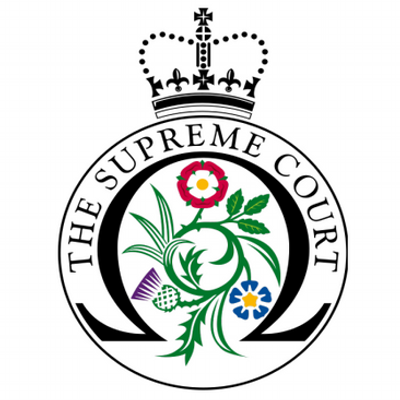 The Supreme Court is the last resort for cases and it took HMRC to go that far to obtain justice. Given the amount of time taken to get there, it makes you question the process itself but that is another argument. What does matter is that HMRC won their case and will now take on any other companies who utilised the same type of schemes to avoid tax. The effect this had on Rangers ability to procure players and win titles and trophies is well documented. More important than that is the fraudulent sporting advantage is gave them over other clubs in order to achieve success. The much debated 14 titles and trophies remain the subject matter for the Scottish football authorities to address. Both the SFA and SPFL have made statements about the Supreme Court ruling. The early signs are that “no further disciplinary action should be taken by the Scottish FA at this time” whilst the SPFL said they would “now take time to examine the ‎judgement in detail and to consider any implications”. Very few people believe that any action will be taken without movement from the rest of Scottish football. That is how much faith people have in the football authorities of Scotland. Celtic made their own statement in the wake of the court ruling. I don’t expect that to be the last from Celtic either. No other club has made a statement yet. However, fans group ‘Dons Supporters Together’ appealed to the Scottish football authorities to review this matter following the ruling. I would be disappointed if other club’s ansd supporters did not follow this matter up. The media have so far failed to offer an opinion with the exception of a few. Others such as Ewan Murray of the Guardian were banging a different drum claiming that the “current quest for trophy-stripping and the like reeks of tribal distaste rather than some overriding quest for sporting fairness.” Whilst he may a slender claim in that, it does not detract from the fact that action is justified. Across the city all we’ve ever heard is “we’ve been punished enough”. This isn’t about punishment or revenge it is about fair play. To many this has been a straight up Celtic v Rangers debate, but I’m tired of hearing this crap. Celtic may have lost out on more of those titles and trophies than any other club but financially, I can assure you it hurt the smaller clubs harder. Systematic financial cheating deprived other Scottish clubs of titles, trophies, prize money, places in Europe….need I go on? When you are playing players you could not have otherwise have afforded then you have a significant advantage on the playing field and certainly not one you obtained by operatin within your means. If this situation had occurred in England’s Premier League involving say Manchester United for the same period, do you think the rest of the English clubs would let it go? Not a bloody chance! For starters, the FA and Premier League are a damn sight more professional than Scotland’s football authorities. I’m not saying that they are perfect, but I don’t believe them to be as bias as those in Scotland. There are too many business men and women, sponsors, media and other investors in English football to let this sort of thing be swept under the carpet. This simply would not be allowed to go unpunished. Unfortunately in Scotland, we have a hierarchy who lack honrsty, integrity, professionalism and fair play. To the point that Celtic alone have challenged the football authorities all the way. There is a case to answer here. I don’t care how much legal advice the SFA have taken in advance – the fans and the clubs will not be satisfied until the titles and trophies of the cheating years are taken down. Personally, I don’t want the titles and trophies given to the runners-up and I get the sense most people in favour of title stripping feel the same way. We just want them removed from the list of honours Rangers 1872 claim to have had. As club ambassador Davie Hay said “The Scottish football authorities need to be strong with this. When sides have been found to have breached financial rules elsewhere, then they have received those sorts of punishments. It happened to Juventus in Italy, so why not here?” And you know what Davie, why not? If Rangers fans still believe Sir David Murray is blameless and that they have suffered enough then it is clear just how stupid they really are. For the few that actually DO realise that Murray lied to everyone, well done – you are half way to realising that what was carried out at Rangers 1872 was cheating. The rest of it is up to the actions of the authorities and the rest of Scottish football to ensure that these titles and trophies must go. Justice, not revenge. The whole affair already shiws the SFA to be either corrupt or stupid at best with LNS etc. They are part of the problem not the solution. The SFA needs cleared out. It looks as though DK with his hacked stuff knows where all the bodies are buried so they are scared of him. It has to be UEFA or FIFA and if all else fails then a crowdfunded judicial review. I dont know why this is not already on the table. If we stand by and do nothing then the systematic cheating of football will have won. The ruling bodies of the game sadly can not be trusted to do what is right and just. I strongly urge all fair minded football fans to go to https://you.38degrees.org.uk/petitions/strip-the-titles, and vote for the integrity of our game to be upheld. I would be surprised to see most clubs come out and say anything against The Rangers because they effectively dine on the one or two visits per season that their fans make. The threat of boycotting away matches is already there and it would hurt a number of teams. There is also the modi operandi of a section of this support enjoy nothing more than naming addresses of people, bullying people into submission and even go as far as sending bullets in the post. This is a clear threat and people who would like to stand up and say something simply won’t out of fear of threats and harassment. I firmly believe this is why some people will not stand up, it puts their families at risk and who in their right mind would do this? When an inbred sense of false superiority mixes with a self-entitlement disorder it is easy for them to play the victim card. Their identity becomes unraveled thus causing utter confusion to their state of mind. Anger comes first and then denial followed by more denial and anger… It is a couple of stages of the Kübler-Ross on loop… an Ibrox-WATP model, if you will. The SFA and SPFL are worried about their business model but they are far more concerned about the threats to themselves and their families. Over all of that they are simply concerned about their own self-preservation as they know they will be seen as complicit in ensuring Rangers kept their upper hand… despite them not having it their own way. What astonishes me as a Hibs supporter, is the reluctance of club boards to address the incompetence of the SPFL and SFA. From ‘Armageddon’ to the piss poor financial deals, it is obvious that those who run our game are not fit for purpose. We as fans, rely on our clubs to represent our views. They are our sole means of officially communicating our grievances to the top level. Apart from Celtic, the silence is deafening. This, effectively, means that we have absolutely no voice. We need change, and we need it before they completely destroy our game. the silence from other clubs including my own is deafening, they even asked dons fans to removed a couple of banners that stated an obvious truth at a friendly in arbroath. the SFA and our clubs have shown nothing but contempt towards the rest of us,. a united supporters group needs to challenge the SFA in court and demand a refund on all those games where we were cheated out of our honest earnings. Sevco Rangers!!!! !CAN YOU SHOW US ONE PIECE OF EVIDENCE TO PROVE OLDCO ARE OUT OF LIQUIDATION!!!! Yes I can. Why are you asking for evidence that Rangers are out of liquidation? what Club do you support…. I’m sorry but you’ve lost me. I didn’t say they were the same club though? I think we’re got our wires crossed bud. But yes, I agree with your point. Every fan of every Club have been getting scammed for all those years,And it seems they are getting away with it.Our Football Association is an absolute disgrace and they need OUTED!!! Our Game is Doomed if Nothings done..Its how long it actually is been going on for thats the Question?A lot of Clubs in Scotland and Europe have been Scammed.Its Disgraceful.